PayTV market is still a goldmine for the players with quite low penetration countrywide. This includes acquisition of free to air set top boxes. 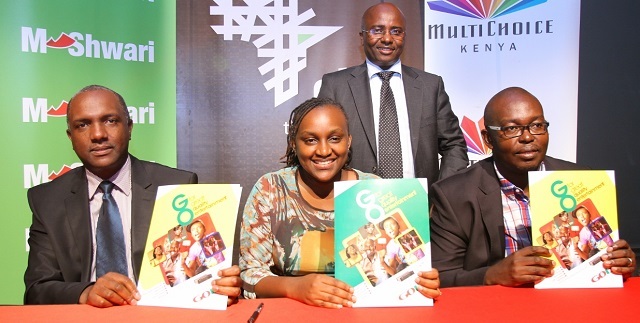 Multichoice last week in a partnership with Commercial Bank of Africa came up with a financing plan that seeks to ease the acquisition of the GOtv set top boxes. The plan is to have MPesa mobile money service subscribers who also use Mshwari access soft loans to buy the set top box and stretch the repayment to 3 months. GOtv rival Startimes had come up with a similar plan with Equity bank sometime last year where interested customers would go through the usual credit vetting to get a loan for set top box acquisition. GOtv Mshwari Loan, steps and what you need to know. Mshwari users who already have a loan limit of Kshs 1000 qualify for this loan. You need to dial *243*6# to check whether you qualify. You get a notification instantly on whether you have qualified or not. A payment notification is sent to your phone so that you can collect your Gotv decoder. What then happens is that the loan goes through to Multichoice and you have to pay the remaining Kshs 2400, there is no interest on this loan. This GOtv loan is treated as a separate loan and you qualify irrespective of whether you have an existing Mshwari loan. You get disconnected and a Kshs 200 penalty for you should you fail to pay your installment in time. In-case you got anything more you need to know, please sound us off in the comments section and we will try answer to the nest of our knowledge.